BizLab, an initiative of Boston’s WBUR to develop new digital business models for public radio, is unveiling its first projects nearly two years after receiving startup funding from the Knight Foundation. It’s working on an analytics dashboard for public radio stations that will track donations, social media and podcast metrics to brief staffers on up to 180 key metrics. “You can look at it as a health indicator for a public radio station,” said Meg Siegal, BizLab’s executive director. BizLab plans to roll out the dashboard at WBUR later this fall. If it proves to be useful, Siegal would make it available to interested stations without cost. — A podcast might not seem like a fundraising innovation, but BizLab will launch one Sept. 1 in partnership with WBUR’s CommonHealth blog to see whether it can convince podcast listeners to donate to WBUR. The Magic Pill will use storytelling and practical science to encourage listeners to complete a 21-day fitness challenge. 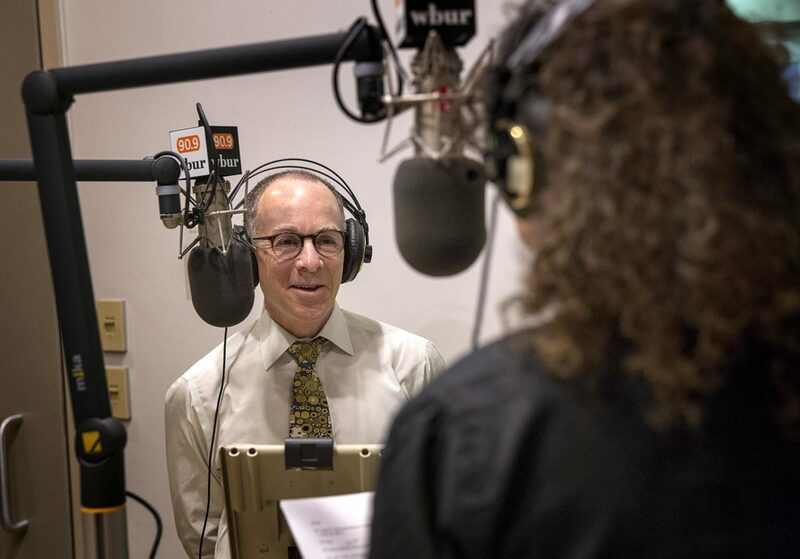 WBUR hopes to draw 2,500 new listeners to the podcast and convert at least 125 of them into WBUR sustaining members at a rate of $10 a month by testing different ways of asking for support. It will use Stripe, an online and mobile payment tool, to process payments. WBUR doesn’t plan to let other stations distribute the podcast, but BizLab has shared a generic framework that stations can use for developing an experiment like The Magic Pill. — Related to The Magic Pill is a proof-of-concept music library BizLab is developing to help connect emerging artists to public radio. It’s creating the library with George Howard, a Berklee College of Music professor, and Revelator, a music technology company. Musicians would be invited to contribute music to the library and would give WBUR rights to use their contributions in programs or podcasts. Artists would receive updates when their music appears in programming. The Magic Pill will test the library by drawing on songs contributed to it. The library uses blockchain technology, a distributed database to keep track of digital transactions. The technology was created to help ensure that bitcoin transactions were not duplicated or fraudulent, and has since expanded to other industries. BizLab’s music library would use it to track music use and pay the rights-holders. Libraries of music for use by content creators already exist, such as the Free Music Archive, developed by New Jersey freeform station WFMU. But while the FMA’s Creative Commons licensing is “one-dimensional,” BizLab’s use of blockchain technology would allow for “a vastly more advanced degree” of measuring, tracking, payment, sharing and rights management, according to Howard. It also would support “a platform for new means of donation across a spectrum of content,” he said. BizLab plans to use the library as a basis for building a more advanced tool for public radio. It will first talk with potential contributors and other stakeholders. WBUR developed BizLab with the help of a $250,000 grant from the Knight Foundation in 2014. It has since raised an additional $750,000 in major gifts, and WBUR has budgeted $250,000 for it. The lab has just two full-time staffers, including Siegal, but works with contributors and develops partnerships on each project. BizLab aims to “develop and test ideas that change the way we think about funding and innovation for public radio, and to provide stations with new creative business models that will help them sustain themselves and their journalism,” Siegal said. The unit will share any project that succeeds in testing at WBUR with the broader public radio system. WBUR aims to raise $5 million to support the initiative for five years and allow it to run more experiments, add staff and become self-sustaining. It’s not currently raising revenue from its products. “We need to raise funds in a pretty significant way to keep this going,” Siegal said. The stations will work with the WBUR innovation lab for six months. Fascinating stuff – can’t wait to see what the finished product (well, probably more like “public beta” but that’s ok) of the Analytics Dashboard looks like!